← How long will the tomatoes hold out? I visited the Long Beach Aquarium of the Pacific today, hoping to get some nice photos of fish. Once again, I found photographing the fish in tanks a daunting task. I enjoyed the visit, and loved watching the fish and invertebrates, but I wasn’t really happy with the photos. They have a great new exhibit on human population growth, population densities around the globe, energy usage around the globe, global warming, and overfishing of the oceans. Gee, do you think those things might be related? The larger the human population grows, the more impact we have on the natural environment. Global warming is causing acidification of the oceans as well as temperature changes. Coral reefs are dying off, sharks are being fished out, and the Atlantic bluefin tuna is probably doomed. 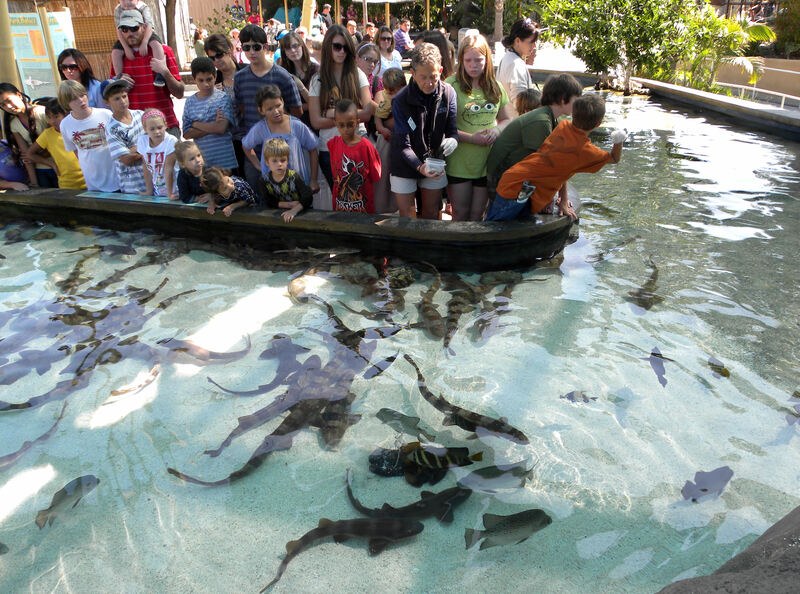 People love petting sharks and rays. 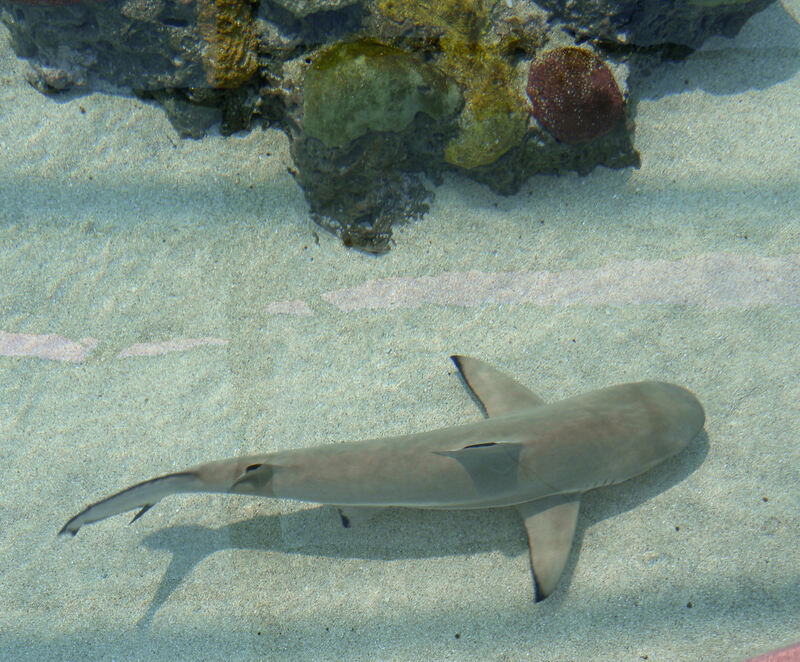 I hope that we can stop the slaughter of sharks for their fins. 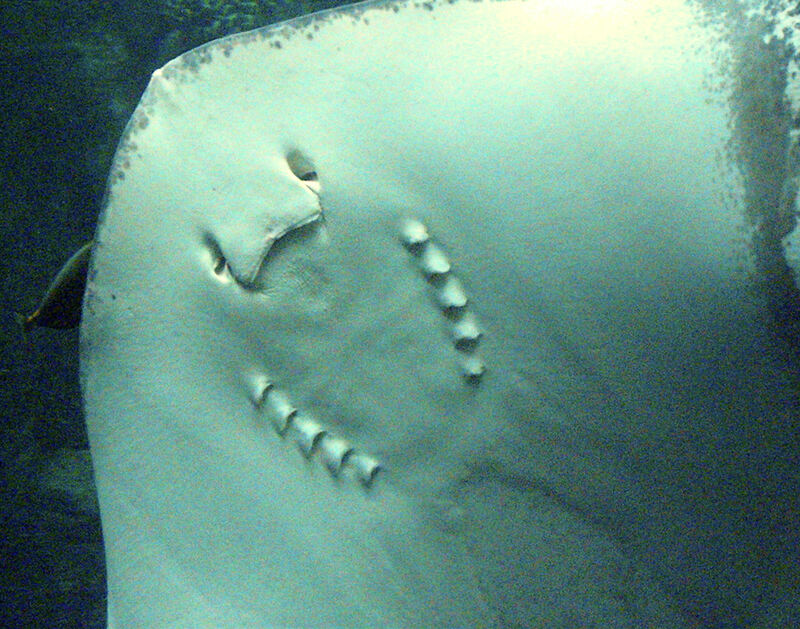 These rays were probably four feet across. 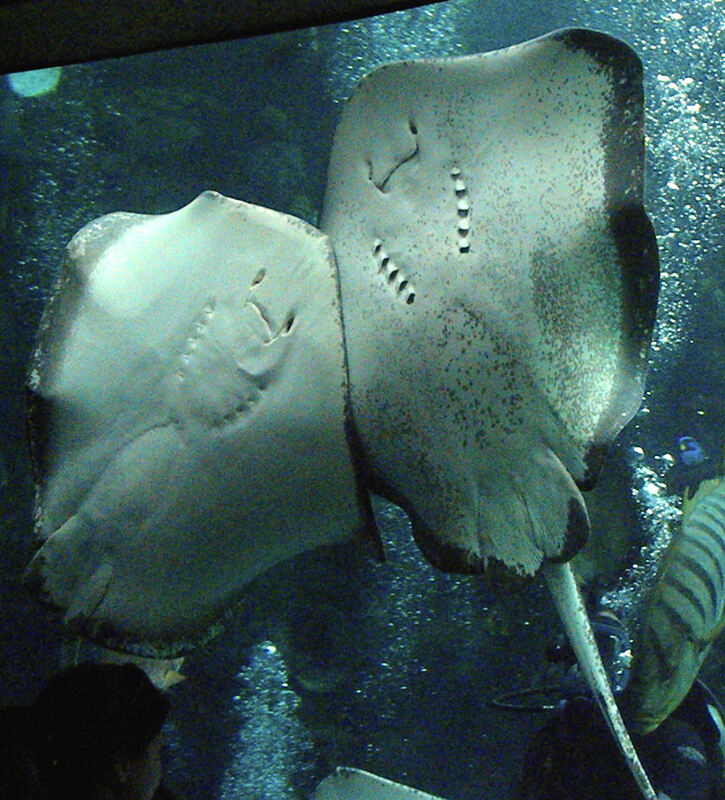 The diver was hand-feeding them, putting the food directly into their mouths. 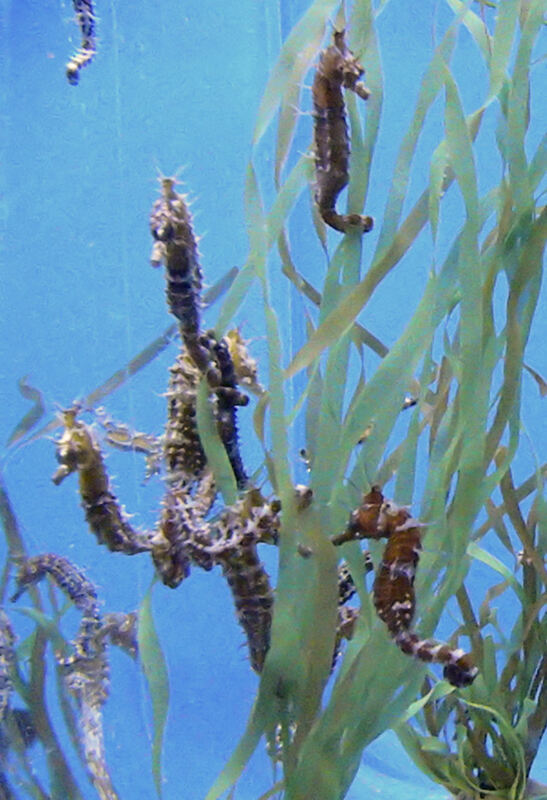 Male sea horses carry their offspring in abdominal pouches until they're ready to swim off on their own. 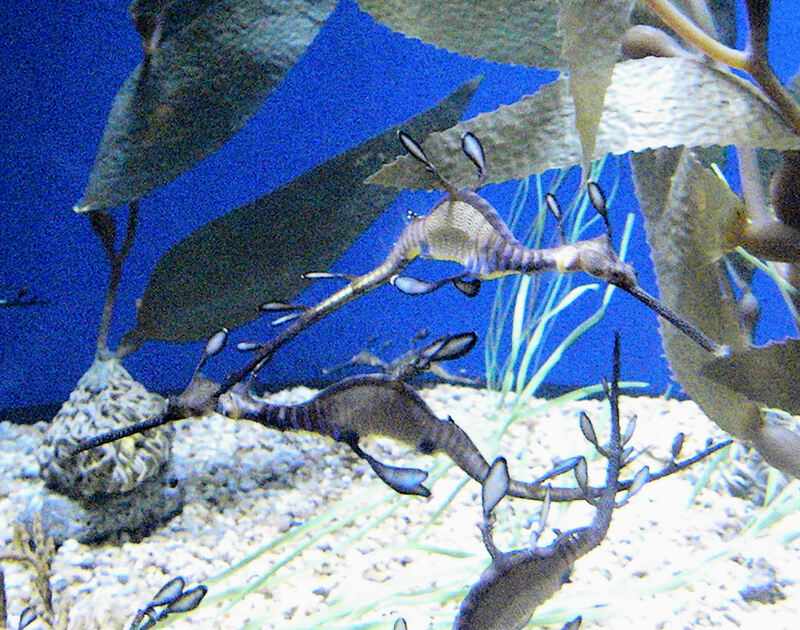 Leafy sea dragons rely on camoflage to avoid predators. There are too many fish species for me to be able to name them all. Don't know the name of this species either. 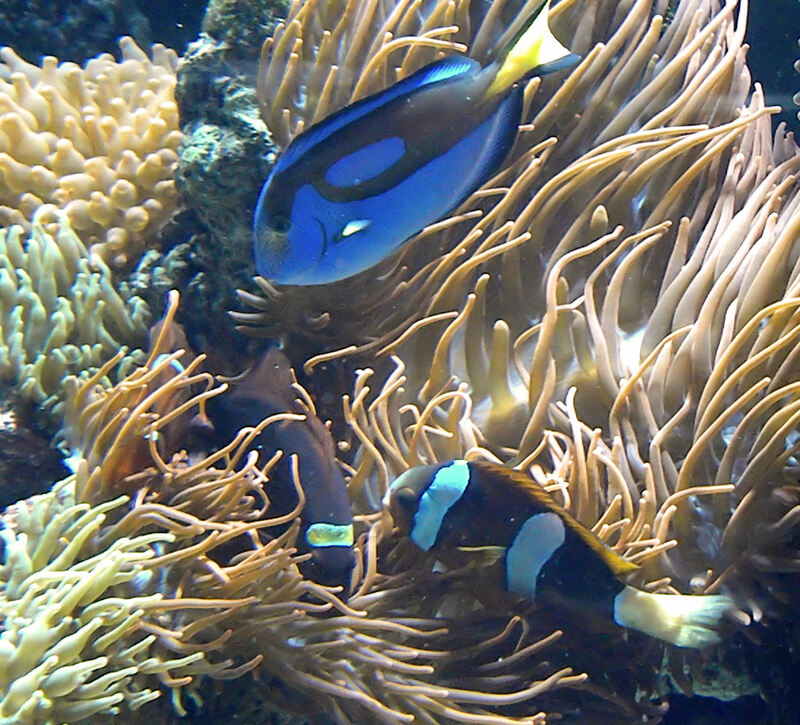 Clownfish are immune to the stinging cells of anemones. Visit the website of the Monterey Bay Aquarium to get their seafood watch list, and eat only sustainably harvested or farmed fish. This entry was posted in Uncategorized and tagged global warming, Long Beach Aquarium of the Pacific, photos, sustainable seafood. Bookmark the permalink. 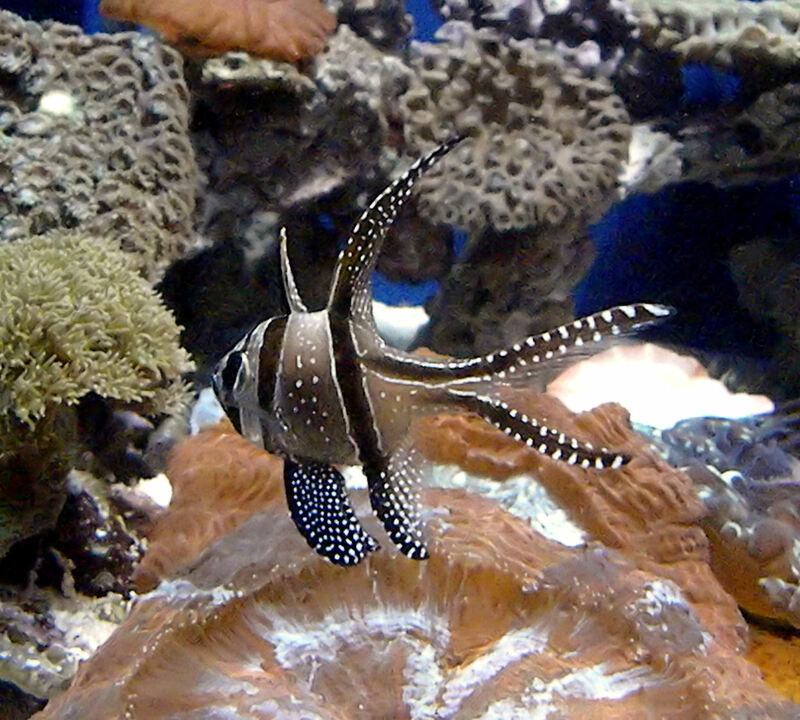 I hope that in future such fish will only exist in aquariums. We’ve pretty much stopped eating fish except for trout and other local freshwater farmed varieties. You managed to get some pretty good photos! Of course I meant “will NOT only exist in aquariums”! Thanks for the compliment on the fish photos, Barbara. 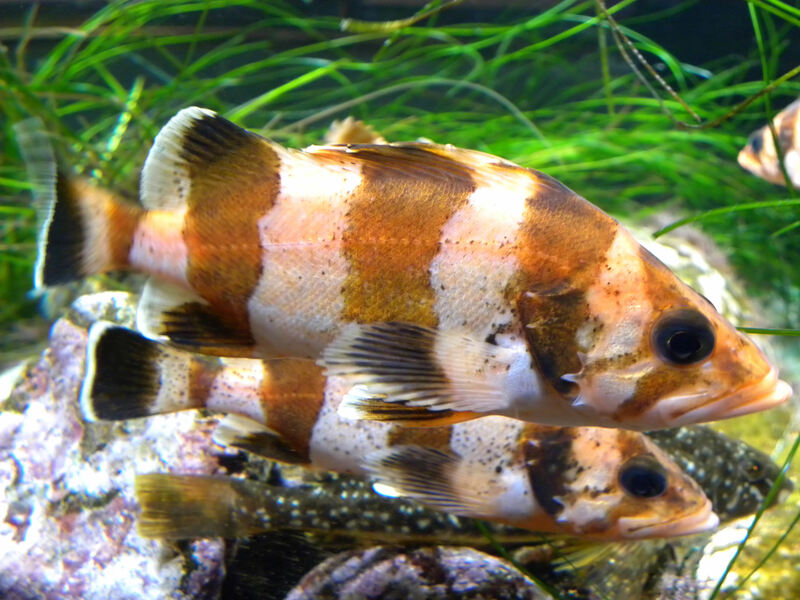 We pay attention to the seafood watch list put out by Monterey Bay Aquarium and eat only fish that come from sustainable fisheries or are farmed in a sustainable, healthy manner.